You hired your VA because you are way too busy. It’s easy to forget to cover the bases on things that come back to bite you later. From hours to tax and copyright there are lots of things you need to sort out and discuss. Things that will come back to haunt you a long time from now. You can get straight to the sweet spot and just add the special bits that this work for you. Not a general freelance agreement you have to wade through with lots of things that have nothing to do with the modern VA role and ignore data sharing in the cloud and more. You know you are going to want your own client lists, your own data, the rights in the work you paid your VA to product and a lot more. Don’t find out the hard way you didn’t contract for them and it is too late! 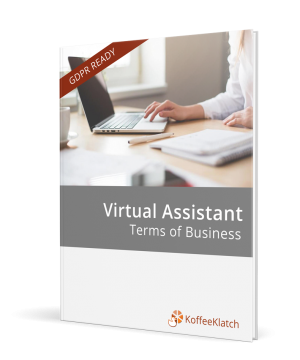 We use VAs all the time and have added our own experience of working with Virtual Assistants to more than 30 years of creating agreements and ways of working that help you grow your business without getting buried in compliance. 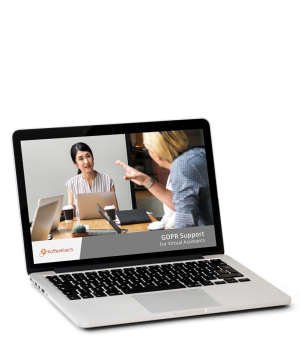 If you need an additional Virtual Assistant or a replacement – don’t worry. 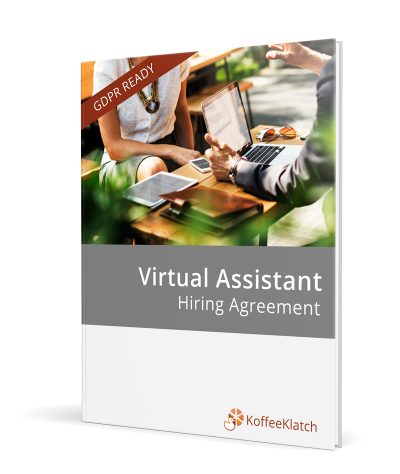 You can re-use the same hiring agreement again! If they’re a sole trader you chose that option. If you don’t know whether your VA does have a company check out our blog post. Just download the hiring agreement and go through it with your new VA.